Did you know that St. Augustine, Florida, was the oldest city in the United States? Discover other amazing and interesting facts as you travel across the south east, stopping in each state and it's capital city. This video explores the history and development of the eleven states that make up the South Eastern United States. This video takes you on a journey through the Northeastern United States. Explore the smallest state in the nation to the state that is home to one of the world's most famous cities. Follow each Northeastern State, as it slowly becomes part of this ever-growing and ever-changing nation. In this video audiences will find out which state is known as "The Prairie State," and in which state is housed the nation's gold supply. Learn about the brave men and women who first traveled to this area of our country. This is a wonderful glance at our country's past as you visit each state in the Southwest. Discover how these states dealt with such national issues as slavery, Native Americans, forming a new government, and much more. In this video, viewers will step back in time and follow the pioneers and leaders who made this country the greatest ever. 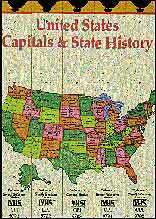 Explore how each individual state's history contributed to the overall history if this great nation. Volume one explores the lives of the first nine Presidents. These men were known to have been the forefathers of our country. Their vision, loyalty, and persistence provided the foundation that started our government. Follow these extraordinary men on a journey from childhood to the White House. This video traces the lives of the tenth through eighteenth Presidents. These national leaders were known to have been active during the Civil War and the abolishment of slavery in our country, these events will never be forgotten. From war heroes to politicians, learn what made these men so great or not so great. In this video, viewers will be introduced to the men who served our country during the great industrial and farm reform. Travel through each President's childhood, follow his education, experience his family life all the factors that make a President. Volume four explores the lives of the Presidents who served during the most tumultuous and trying times in our country WWI, WWII, Korea, and Vietnam. The great depression, a woman's right to vote, and the U.S. Space Program were just a few changes that these men saw our country through. 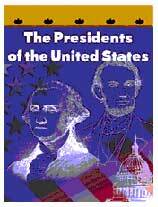 This volume follows the lives of the six most recent Presidents. These men have been leaders in our country, and leaders in their dedication to making this a more desirable world for free commerce. Their leadership provided the foundation for changes in our government as well as in other governments. Libraries & Schools: send us your purchase orders for 30 day dating. Consumers: call us with your credit card info or send us a check or MO. Kindly make checks payable to SI Video Sales Group. © Copyright 2002 Stan Nicotera. All rights reserved.